PHILADELPHIA, PA – April 4, 2018 – Janney Montgomery Scott LLC (“Janney”), a leading full-service wealth management, capital markets, and asset management firm headquartered in Philadelphia, PA, welcomed 32 professionals to its Private Client Group in the first quarter of 2018. This includes 11 experienced Financial Advisors, entrusted with over $950 million in client assets, and 21 Private Client Associates. Janney also opened two new branch offices in the first quarter in Columbus, OH and Battle Creek, MI. Janney has over $80.9 billion in assets under advisement as of March 2018. 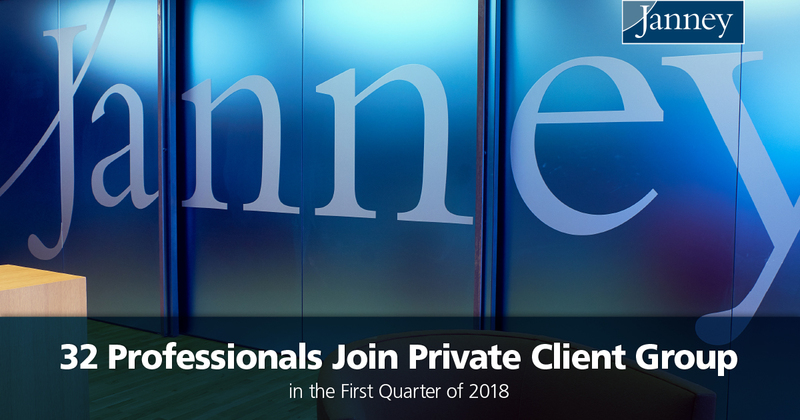 In 2017, Janney welcomed 140 new Private Client Group members, of which 65 were Financial Advisors.